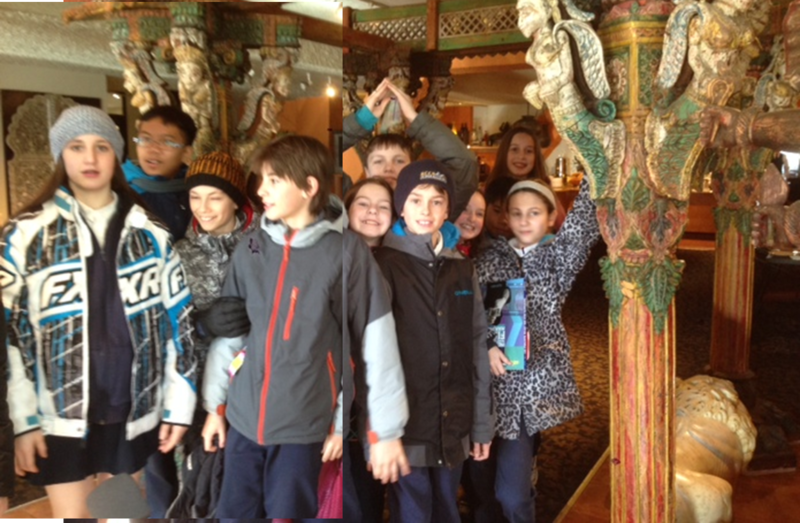 The SCCS Violin Ambassadors completed a 2-day tour in Winnipeg during which they performed several full-length concerts, toured a violin-maker’s shop and experienced different cultures. Their 45 minute concert which included fiddle tunes, hymns and folk songs was performed at St. Boniface Hospital,Holy Family Nursing Home and Deer Lodge. At each venue, the students were excited that the audience members sang along with the familiar tunes, and tapped their toes in sheer joy. After all, the mission of the Violin Ambassadors is to “bring joy” to others. The grand finale for the concerts was when the students left the stage area and, as they played a tune, walked among the residents. The students had a great time chatting with Anton, a local luthier. Their visit to Anton’s Violin Shop on Portage answered many of their questions about how violins are made. And, of course, they had a great time eating at the East India Company buffet and DeLuca’s Pasta buffet! Come out to the Carol Shields Auditorium, 2nd floor Millennium Library Thursday, December 4th and enjoy a Holiday Concert by our very own SCCS Violin Ambassadors. 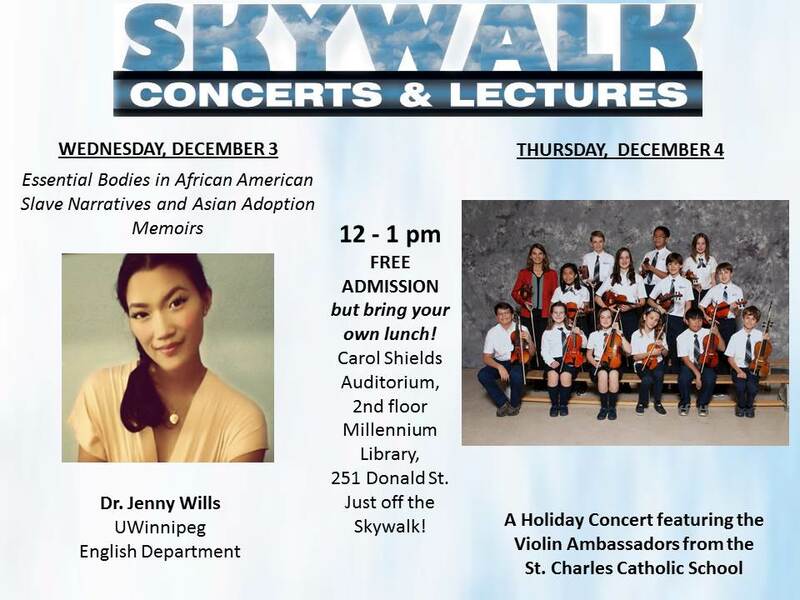 Bring your lunch and be informed and entertained by the ‘Skywalk series of noon-hour events! Wednesdays feature thought-provoking lectures from some of the University of Winnipeg’s best professors. Thursdays bring you concerts by an eclectic assortment of local musical performers.’ Brought to you by the Winnipeg Public Library, the University of Winnipeg, and Virtuosi Concerts.